Canan Testing Services (CTS) is the leading supplier of all types of Material Testing Machines. We pioneer in providing the highest grade Hardness Testing Machines such as Rockwell Hardness Tester, Brinell Hardness Tester, Vickers Hardness Tester & Portable Hardness Tester. 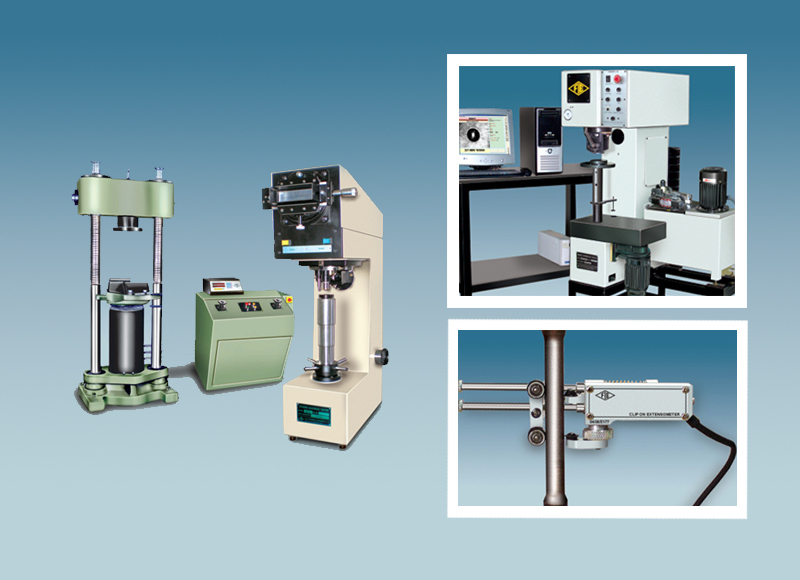 We also provide different models of Tensile Testing Machines, Universal Testing Machines, Impact Testing Machines, Spring Testing Machines, Torsion Testing Machines, Erichsen Cupping Testing Machines, Horizontal Chain & Rope Testing Machines, Balancing Machines & Extensometers. We provide impeccable aftersales services for all type of Material Testing Machines manufactured in India & abroad. We supply the best grade Testing Machine Spares and accessories in attractive prices. Our highly trained team is capable of carrying out Calibration as per National and International standards. We are accredited by NABL (A Constituent Board of Quality Council of India) and our services are available all over India & Overseas. We are accredited by NABL (National Accreditation Board for Testing & Calibration Laboratories),A Constituent Board of Quality Council of India. Qualified and well experienced engineers provide the highest quality machines in various customized forms as per your specifications. Under the supervision & leadership of our M.D., “Mr. K. K. Moncy”, we have successfully achieved the well-recognized position in our domain. We are the leading supplier of quality range of Material Testing Machines. These testing machines are moulded using the finest quality raw material and advanced technology. Furthermore, these are strictly checked by our quality auditors at our well installed testing unit as per the international quality standards. Our clients can also avail these machines in customized form as per their specific requirements. We offer Spares and Accessories for all types of Material Testing Machines manufactured in India and abroad. 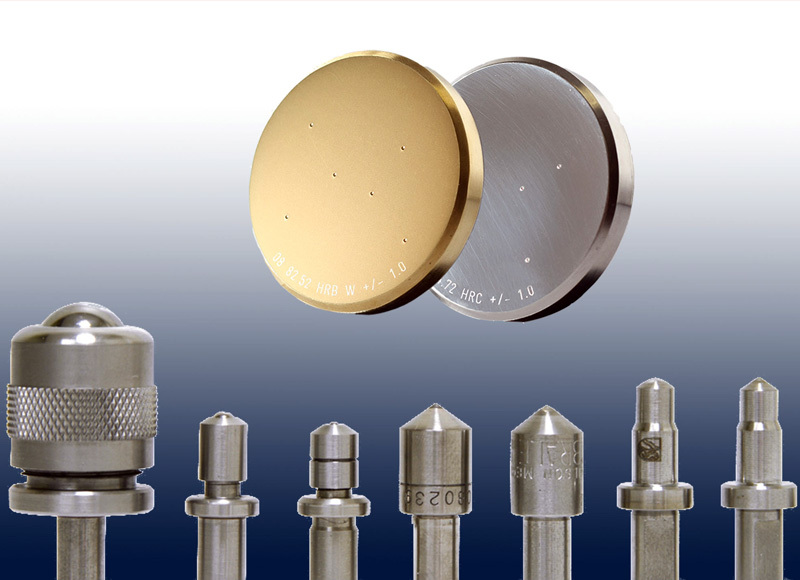 We keep ready stocks of spares such as diamond indentors, ball indentors, test blocks, brinell microscope. We also provide spares of all types of universal testing machines etc. We provide on-time service for all Testing Machines for both Indian and abroad make. Our highly experienced service engineers deliver the best quality service in the industry. With periodic training our engineers are always ahead of the latest technology. We undertake the preventive maintenance and periodic Calibration of all types of Material Testing Machines. Our calibrations are traceable to National / International standards. 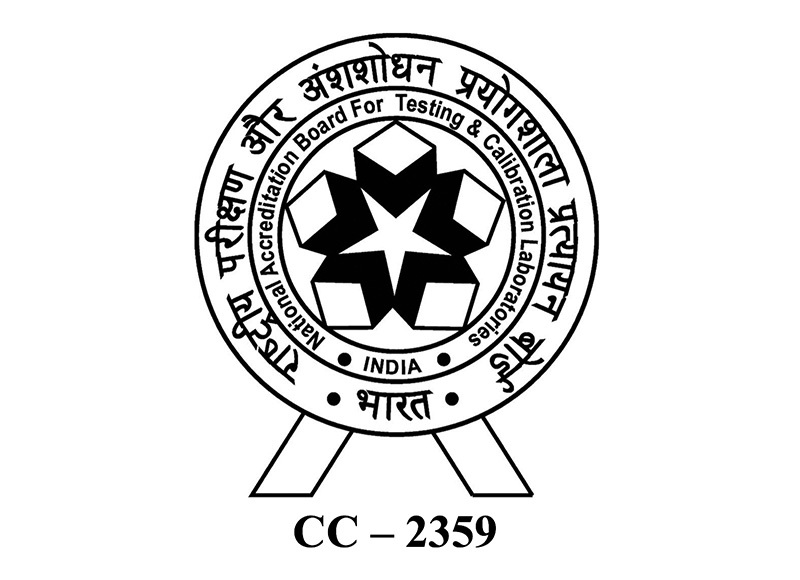 We are accredited by NABL (National Accreditation Board for Testing and Calibration Laboratories), A Constituent Board of Quality Council of India for Calibration of Material Testing Machines. We also provide Calibration support to leading certifying / inspection agencies like LLOYD'S REGISTER ASIA, EIL, TUV, DNV, BUREAU VERITAS, etc.